With bioluminescent bays, tropical rainforest, uninhabited islands and nature reserves, there’s something for everyone in the beautiful Puerto Rico archipelago. Get to know the friendly people, who are ready to share their gorgeous home with you. Get in touch to book your Puerto Rico charter today. 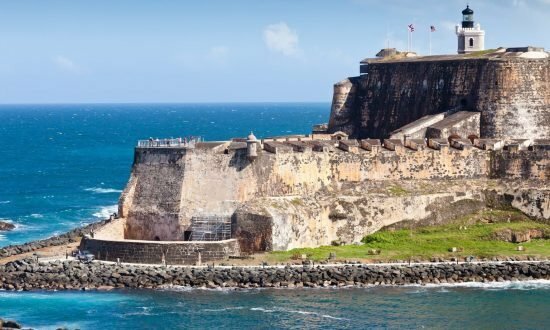 Puerto Rico, the Island of Enchantment, is very much open for business as it recovers from Hurricane Maria. The airport is operational, cruise ships have returned, water and power are back and hotels are open. 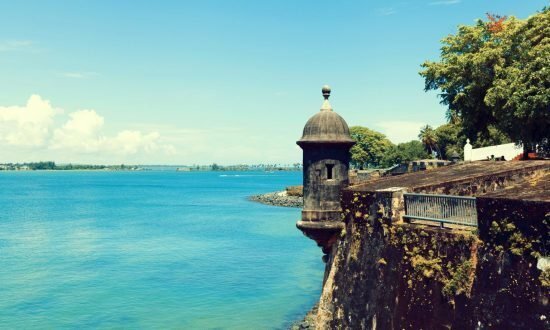 San Juan and the popular destinations are ready to welcome visitors and you’ll find plenty of places to eat and enjoy the local culture in the evening. One of the northernmost islands in the Caribbean, Puerto Rico is aptly named. “Rico” means rich in Spanish and this island is positively overflowing with natural riches. First settled some 4,000 years ago, the island is part of an archipelago that includes Vieques, Culebra, with its 28 uninhabited islands, Culebrita, Cayo Luis Pena and Palomino Island. Sparkling beaches, such as La Perla and Flamenco, wrap around the main island’s forests and towns, and cover the many smaller surrounding islands. With so many uninhabited islands, there’s plenty of unspoiled paradise for you to discover. Explore the Mona Island, the “Galapagos of the Caribbean”, UNESCO forts and, of course, try the delicious local rum and piña coladas. If you love wildlife, there are 20 beautiful forests, such as El Yunque National Forest with 20 species of orchid. La Coca waterfall is worth a visit, as are the bioluminescent bays, such as Mosquito Bay, where the waters glow as you swim. If you are a foodie, order mofongo, a mound of mashed fried plantains and one of Puerto Rico’s most famous dishes. Dream Yacht Charter in Puerto Rico: Take a look at our fleet of catamarans and monohulls in Puerto Rico. At our base in Marina Puerto Del Rey, you’ll be greeted by our friendly and knowledgeable team. If you need help planning your charter, check out our inspirational itineraries section. Get in touch with our team to find out more. The time difference in Puerto Rico is Coordinated Universal Time (UTC) -4 hours. 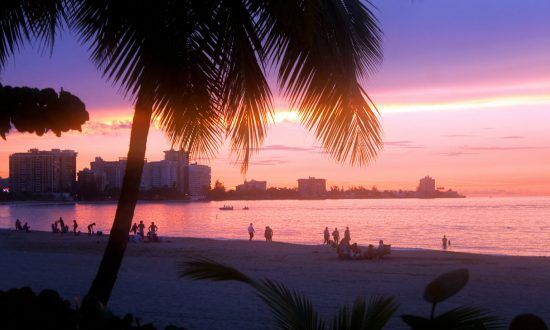 US citizens do not need a valid passport or green card to travel to Puerto Rico but are advised to carry photo ID and a birth certificate copy, as well as proof of lawful permanent resident status, such as a passport or green card. If you fly into Puerto Rico from a country outside of the United States, you will need a valid passport. Talk to us to make sure you have the correct documents before you travel. Taxis can be expensive, especially from the airport. A cheaper option is Público, a privately-operated shuttle service, although there are multiple stops and it can take much longer. Explore the island with the A5 or B21 bus routes on the guaguas. Puerto Rico is under US customs jurisdiction with open borders and free movement of people and merchandise. Firearms must be declared upon check-in and a Declaration of Armed Individual completed. Most US cell phone carriers extend service to Puerto Rico, however, you’ll need to verify coverage and roaming charges with your service provider. Usually there is good cell phone coverage throughout all of the Spanish Virgin Islands, as well as free Wi-Fi available at the marina. However, Wi-Fi is not reliable and cell phones can only send and receive texts. Nudism and naturalism is illegal. Marijuana possession is a felony punishable by three years in prison and up to $5,000 in fines. You must be 18 years old to purchase liquor or buy alcoholic drinks. Most towns do not allow consumption of alcohol outside a restaurant, bar, or home. Driving with a BAC of .08 or higher is illegal. Temperatures in Puerto Rico are classed as tropical and sit between 70-80ºF year-round. It is cooler inland, particularly in the forests and easterly trade winds provide a welcome relief when temperatures are high. 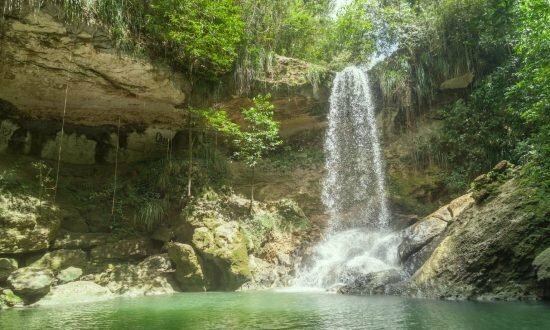 The dry season is between January and April and the rainy season is between April and November, with more rain falling in northern Puerto Rico. The hurricane season is from August to October. The sailing conditions in Puerto Rico benefit from north-east trade winds between 15-20 knots between November and January, even reaching 30 knots during the Xmas winds. Winds then move easterly from February and to the south-east by summer. The swell is between three and four feet. Day 1: Transfer from San Juan Airport to our base at Puerto Del Rey Marina and get acquainted with your boat before grabbing a bite to eat nearby. Day 2: Sail to Culebra, Ensenada Honda, the largest inlet, and look out for turtles. Walk around the town, eat like a local and drink rum. Day 3: Sail to uninhabited, wild island, Culebrita, a nature reserve. Eat lunch on Tortuga Beach, turtle beach, a breeding ground for sea turtles and one of six beaches on the island. Make for Las Pelas for overnight anchorage, near Pelaíta, Culebra. Day 4: Sail to Cayo Luis Pena, offshore Culebra, which is a nature reserve but you can swim and snorkel. You’ll find this is less visited and a peaceful haven, but bring your own food as there aren’t any facilities. Head back to Las Pelas for overnight. Day 5: Make for Ensenada Dakity, just inside Ensenada Honda. Day 6: Set sail for Palomino Island, a private resort where you can enjoy a meal or a drink and Icacos, an uninhabited island off Puerto Rico and part of the Cordillera Keys Nature Reserve. Day 7: Head back to Puerto Del Rey Marina for disembarkation by 10am. Day 2: Head to Vieques Island and Green Beach “Punta Arenas” for overnight anchorage. 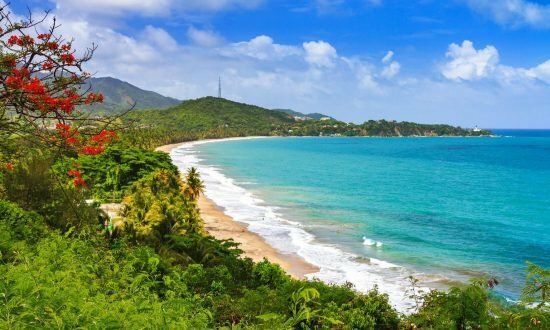 It is on the north-west tip of Vieques and has a great view of Puerto Rico and its rainforest. Day 3: Sail south to Esperanza for overnight anchorage. Paddle the bioluminescent Mosquito Bay and watch the microorganisms, dinoflagellates, glow bright blue in the water when they are disturbed. The brightness varies from week to week and year to year. Day 4: Make for Culebra Island and Ensenada Dakity, just inside Ensenada Honda. Day 5: Sail down Ensenada Honda, the largest inlet, and look out for turtles. Walk around the town, eat like a local and drink rum. Day 6: Sail to uninhabited, wild island, Culebrita, a nature reserve. Eat lunch on Tortuga Beach, turtle beach, a breeding ground for sea turtles and one of six beaches on the island. Make for Las Pelas for overnight anchorage, near Pelaíta, Culebra. Day 7: Sail to Cayo Luis Pena, offshore Culebra, which is a nature reserve but you can swim and snorkel. You’ll find this is less visited and a peaceful haven, but bring your own food as there aren’t any facilities. Head back to Culebra for overnight. Day 8: Enjoy Flamenco Beach, Culebra, known for its turquoise water, shallow bay and soft sand. Set sail for Palomino Island, a private resort where you can enjoy a meal or a drink. Day 9: Head back to Puerto Del Rey Marina for disembarkation by 10am. Our Puerto Rico Base Manager will be pleased to welcome you on arrival. At the Marina Puerto Del Rey ( Suite 104, Road No. 3 KM 51.4, Fajardo, PR 00738), you will find, marina golf cart transport, ice (two bags per boat), fuel, free Wi-Fi, showers, deli, bar and restaurant, marine store and game room. Dream Yacht Charter provides all snorkeling gear (fins, mask and snorkel). There is a very limited amount of children’s sizes available, so please contact the base for specific sizes, if necessary. Kayaks and paddle boards can be rented on a daily/weekly basis. Please contact base for more details. Fly direct to San Juan International Airport (SJU) and there are 400 flights a week from US cities. Our base is 35 miles from the airport, about a one-hour drive. For taxi transfer, (around $85-90), text Luis (787.379.5727) five days before arrival in San Juan and let him know you are sailing with Dream Yacht Charter, attention to Suzy. He will pick your group up and drive you to get provisions before dropping you off at the marina. He will make sure your welcome captain will be at the base upon your arrival. Make sure your passport is in date and valid for the duration of your stay and look under our Handy Info section for visa advice! Your taxi driver will drive you to get provisions before dropping you off at the marina. Please ask the store if they have credit card facility working, but make sure you have cash available to pay just in case. Stores include: Ralph’s Food Warehouse, West Marine, CVS, WalMart, Amigo Supermarket, Sam’s Club, Econo Supermarket and Walgreens. During your briefing, we will let you know where you can get provisions (including ice) on the islands of Culebra and Vieques. If you want to get straight to your boat from the airport, we can shop for you so your provisions are ready for your arrival, a service that costs $160 (to be paid in cash upon your arrival). Please use the form in the Downloads section and email a detailed shopping list to your DYC booking agent at least a week in advance of your arrival. The morning before your departure, the captain will have to take a taxi with every passenger’s passport, as well as the boat documents to declare leaving US territory. Cost is approximately $30 or more, depending on the number of passengers. Please return by 9am to the fuel dock. After arriving to your assigned dock, your captain must call the US Customs and Border Protection office in Fajardo (1.877.529.6840). Everyone must stay on the boat until the officials visit and inspect the boat. In case you can’t reach them by phone, the captain must take a taxi and declare in US territory with all of the boat documents and passports. The cost is approximately $50-60, to be paid in cash. If you decide to visit the Spanish Virgin Islands (Culebra, Culebrita and Vieques), all you need is to do is get your briefing around 8:30 am on the date of your departure, and return to the fuel dock by 10am. There are no declarations required.